Convenient, upscale and well-positioned—these are just a few of the qualities that attract savvy people to North Nanaimo homes for sale. Widely considered a prestigious and affluent region of Nanaimo, North Nanaimo is home to many of the city's most desirable move-up and luxury neighbourhoods. Even more stunning than the homes is their surroundings, which provide breathtaking views of the Salish Sea, northern gulf islands and nearby coastal mountains. Explore homes for sale in North Nanaimo below or learn more about the vast collection of North Nanaimo real estate. Get ready to find your dream home in North Nanaimo with Karen Ayou's exclusive search tools! Get Instant Email Alerts as soon as new North Nanaimo homes for sale hit the market. Find Your Next Home in 10 Seconds!! Join Now! North Nanaimo is one of the city's newer communities, thoughtfully built to marry beautiful surroundings, gorgeous homes and paramount convenience. North Nanaimo homes are nestled among quiet, pristine streets in darling suburban neighbourhoods, perfect for those who crave a well-balanced lifestyle. Hammond Bay slices through the center of the neighbourhood, providing a quick throughway to all of North Nanaimo's nearby conveniences, including some of the best shopping facilities on Vancouver Island. North Nanaimo is next to the popular Woodgrove Centre and North Town Centre malls, providing local residents with highly convenient access to some of the island's most popular shopping and recreation destinations. Many big box stores, including Walmart, Costco and Home Depot, are in the area, alongside medical offices, banks, grocery stores, fitness facilities and a sprinkling of locally loved restaurants. Local residents will discover numerous "secret" paths down to the oceanfront, in addition to the community's local Sealand and Neck Point parks. The entire North Nanaimo real estate region is a lovely venue for enjoyable walking and exploration. Schools by North Nanaimo real estate include Frank J. Ney Elementary, McGirr Elementary, and Dover Secondary School. 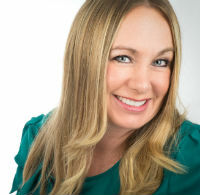 Karen Ayou can help you connect with prestigious North Nanaimo homes for sale. Contact Karen now to get started!